First, the good news. All the new owners said their dog was part of the family, 96% said their new dog adapted to their home well or very well, and 71% said the dog met their expectations. 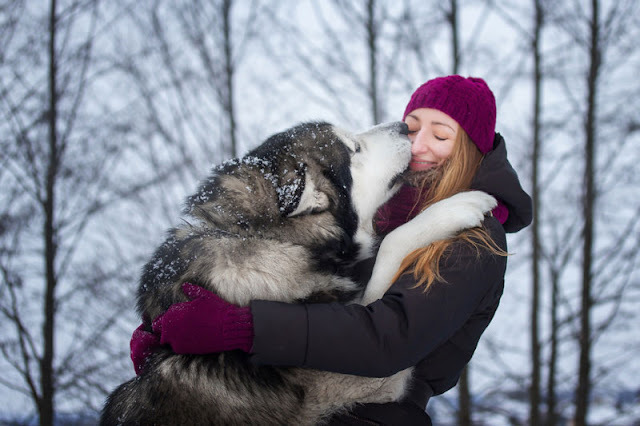 Most dogs were friendly to visitors, and the most common occurrence of most behaviour problems was “never”, including fear of strangers, escaping, food guarding and resource guarding. But the dogs weren’t perfect, because 72% of owners said there was a behaviour they would like to change – most commonly destructive behaviour, fear, barking too much and pulling on leash. The B.A.R.K. was tested to see how well it matched up to behaviours in the home. The list of potential behaviour issues was grouped into three using a statistical technique called principal component analysis. The B.A.R.K. predicted results on one of these - fearful behaviour and inappropriate toileting – but it did not predict problem behaviour or aggression. In fact, 24% said their new dog had shown aggression, defined as growling, snapping or trying to bite a person (16% “rarely”, 7% “sometimes” and 1% “often”). This is surprising because none of the dogs had been aggressive at the shelter (if they had, they wouldn’t have been deemed adoptable). One possibility, say the scientists, is that aggression is not as fixed as other behavioural traits (e.g. fear) and is difficult to assess because it does not occur very often. Another possibility is that dogs suppress aggressive behaviours in the shelter because of the stressful environment. But it’s also possible the general public is less aware of canine behaviour and body language, and so behaves differently than shelter staff and volunteers. 39% of the new owners had done no research on dog ownership/behaviour before getting the dog. The scientists suggest shelters engage in educational activities and post-adoption support, including a “shelter dog manual” for adopters. Companionship was the main reason for adopting a dog, either as a companion for themselves (51%), for another dog (16%) or for a child (10%). The death of a previous dog (11%) or exercise (4%) were other reasons given. 61% chose to adopt from a shelter “to rescue a dog/save a life” (61%); 15% wanted an adult dog and 11% don’t like pet shops. The factors that went into a decision included the dog needing a home (88%), the dog’s behaviour (88%), personality (88%) and size (82%). The type of coat and appearance were important for some people but not others. Most people said they would adopt from a shelter again (76%) and found the process positive (70%). “If people are considering adopting a dog they need to research the type of dog that would best fit their lifestyle,” says Dr. Mornement. “For example, a couch potato shouldn’t adopt a working breed because they’re unlikely to meet the dog’s needs for exercise and mental stimulation. “Other things potential adopters should consider are how much time they have for their dog (to provide companionship, exercise and training), whether they’re prepared to groom their dog, will they take their dog to training or sport dog activities. The authors suggest further research to investigate if dogs that are fostered, rather than kept in kennels, have fewer behaviour problems in new homes, and if assessments work better in this setting. How does your dog compare to your initial expectations? This article was nominated in the 2016 Dog Writer's Association of America Annual Writing Competition in the category Article or Blog - Rescue. Homing and Re-homing Fido: How many newly-adopted pets are still kept six months later?